Hey everybody! Thanks for visiting our Patreon page. Gamers With Jobs -- www.gamerswithjobs.com -- has been community funded and volunteer run for over 15 years now, producing everything from a weekly podcast (twelve years without missing a beat! ), weekly articles, Let's Play videos, magazines, Real Play RPGs and so much more. We're also home to a mature, welcoming, super awesome community! It's the reason this whole thing works. With over 22,000 registered users we've somehow managed to maintain our spirit of fun, respect and safe space in what can be a pretty wild, untamed Internet. As you can imagine, running a website to handle all these people and produce all this great, ad-free content is a lot of work! Beyond all the various hosting fees, we love to pay our hard-working staff some money for their efforts and pay professionals for ongoing website development. We want to keep all this going, while adding new features and projects for the entire community! When you contribute to the cause, you make all this happen. Your support allows us to continue kicking off new projects, keeping the lights on and maintaining a beautiful, clean and ad-free website to hang out on. Help keep GWJ your safe haven on the internet by clicking the Become a Patron button at the top of the page, and thank you! A Golden Icon on the Gamers With Jobs forums reflecting your awesomeness and support to the community. Please make sure your GWJ forum account email matches your Patreon email account so we can get you your icon! Listen to the first episode of our next RPG Story Podcast Triumvirate early! We're well into recording our next RPG podcast, listen to the first episode featuring special guest Jeff Cannata before the official release! Be entered in a draw for a custom forum icon! You will be entered into a draw to win one of two custom designed golden forum icons by artist Justin Russo! You get to work with Justin on what you'd like the icon to be. Plus all lower tiers. 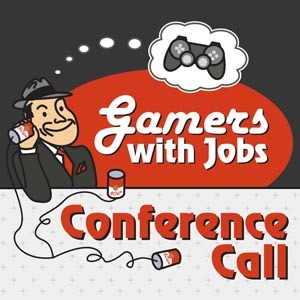 Get a shout out on the GWJ Conference Call podcast! 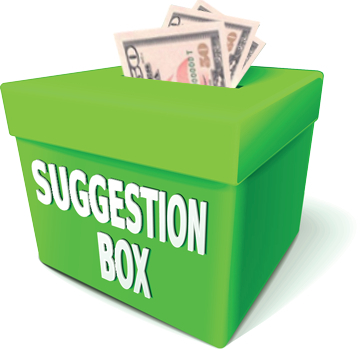 Write a custom (short) message for us to read on the air. Or even record your own message! Plus all lower tiers. Alright moneybags, maybe we should talk. If you maintain this level for a year we'll talk about what kind of cool feature or project you want us to do! It could be a Let's Play style video or even an article! Plus all lower tiers. This is a one time fee, not monthly! Pick a game, any game, on the PS4, PS3, 3DS, Wii, WiiU or PC (that is still readily available for purchase) and Greg "Doubtingthomas396" Decker will write you up a custom Too Long; Didn't Play review. Act now, because only one suggestion will be granted. You might be made of money, oh generous donor that you are, but Greg is not made of time.